The Syrian government on Friday slammed US President Donald Trump’s remarks about accepting Israel’s annexation of the Golan Heights, a part of Syria that has been under Israeli military occupation since the Six-Day War of 1967. “It has become perfectly clear to the international community that the US, with its irrational policies governed by a hegemonic and arrogant mentality, has become the main factor in aggravating situations on the international level and threatening international peace and stability,” a Ministry source said in a statement. “The announcements of the US President and his administration about the Syrian-occupied Golan will never change the fact that the Golan was and will always be Arab and Syrian. “Syrian people are more determined to liberate this precious part of the Syrian nation by all possible means and return it to its homeland,” the statement added. “At a time when Iran seeks to use Syria as a platform to destroy Israel, President Trump boldly recognizes Israeli sovereignty over the Golan Heights. Thank you, President Trump!” Netanyahu tweeted. The Golan Heights is a region located about 60 km south-west of the Syrian capital Damascus and covers about 1,200 sq km. 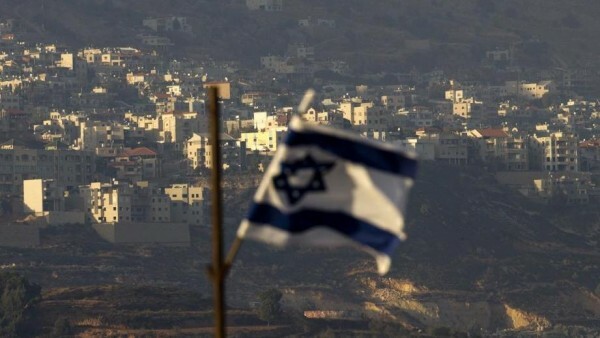 Israel seized most of the Golan from Syria in the closing stages of the 1967 Middle East war and thwarted a Syrian attempt to retake the region during the 1973 war. The two countries agreed on a disengagement plan the following year that involved the creation of a 70 km-long demilitarised zone patrolled by a UN observer force. But they remained technically in a state of war. In its latest annual report on human rights around the world, the US State Department departed from its previous practice by referring to the Golan Heights as “Israeli-controlled” rather than “Israeli-occupied”.